Item # 304351 Stash Points: 2,699 (?) This is the number of points you get in The Zumiez Stash for purchasing this item. Stash points are redeemable for exclusive rewards only available to Zumiez Stash members. To redeem your points check out the rewards catalog on thestash.zumiez.com. 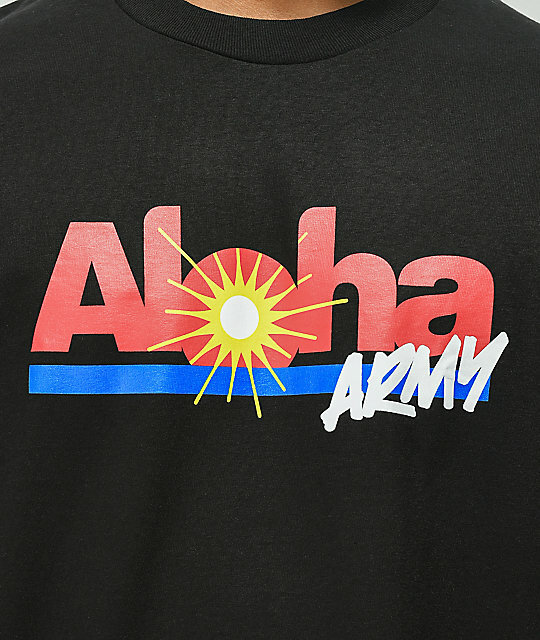 Say Aloha to your new favorite tee shirt! 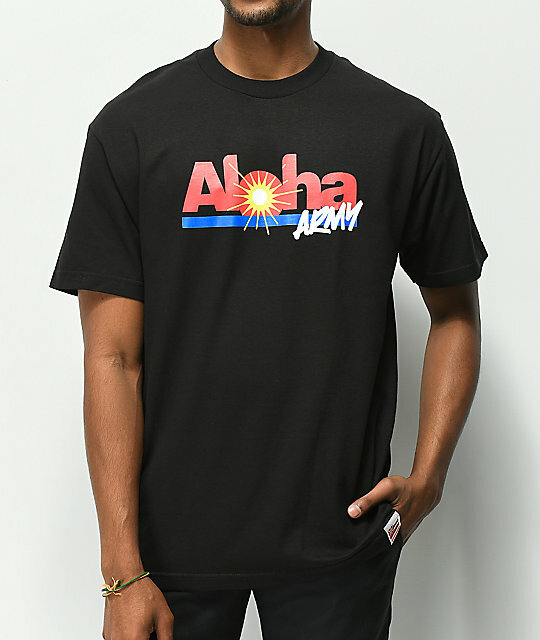 The Plantation Black T-Shirt from Aloha Army features a printed neck label for maximum comfort and is finished off with an Aloha Army logo at the chest in red and blue bold lettering. 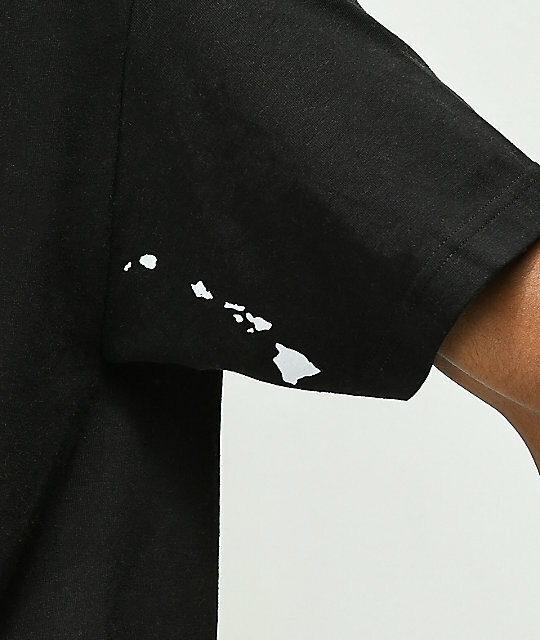 Plantation Black T-Shirt from Aloha Army. 31" (78cm) from shoulder to bottom hem.